This weekend we were overrun with teenagers which is a great excuse for pasta. I make a real simple dish for meatavors–two pounds of sweet Italian sausage browned then drenched in a couple of pounds of chopped tomatoes. Basic seasonings–chopped basil, oregano and parsley and finished with a generous grating of parmesan while at a simmer. This on a couple of pounds of penne makes for a great start for a guys night out. Phenomenal. 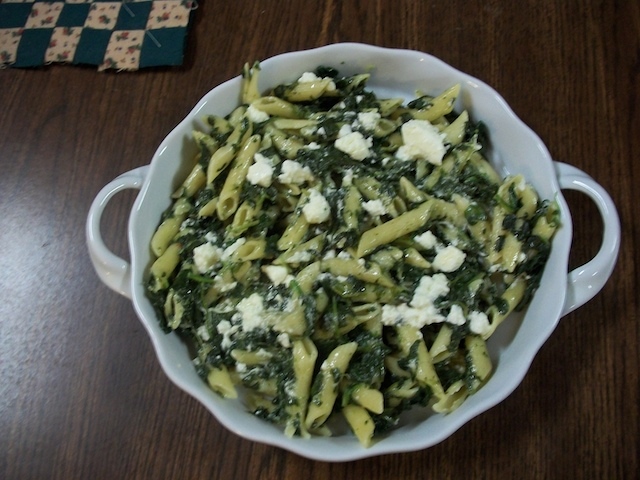 Serve with crushed red pepper at the table (since Helen doesn’t like the hot although the red of the pepper with the green spinach and white cheese makes a very pretty palette).